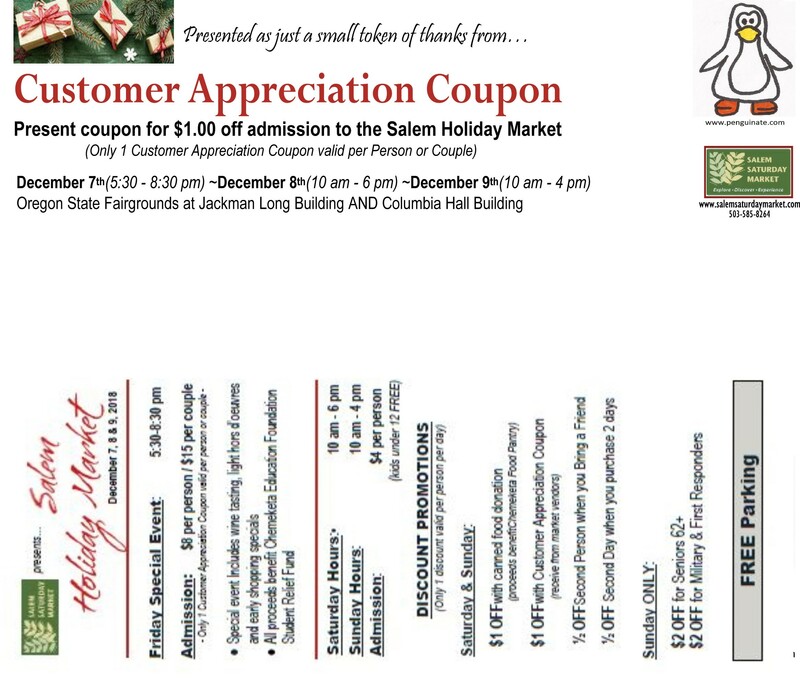 If you, like our penguins, will be going to Salem Holiday Market any of these dates, Dec. 7 to 9, 2018 in Salem, Oregon, and you want a discount, here it is! For additional discounts, join our Penguinate Patreons. (Join before Dec. 1st to get the discount!) If you want to access the coupon at Patreon, you can, even if you aren't a Penguinator. ​If you want to make sure that you can get a penguin. Preordering is the best way. Preorder by Nov. 1, 2018 and choose the outfit you want the penguin to have! All items must be picked up at Salem Holiday Market in Salem on Dec. 7 to 9, 2018.